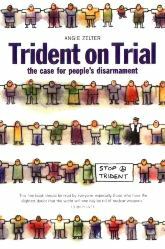 Clerk to Ms Brimelow QC, Mr Grief and Ms Hirst. 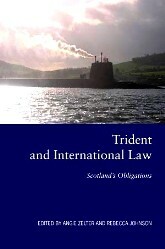 I would like to confirm that Public Interest Cases Against Trident (PICAT), which is a project of Trident Ploughshares and which has had advice and assistance from INLAP (Institute for Law, Accountability & Peace), would like to formally instruct counsel, on a pro bono basis, to deal with advice and ongoing legal matters concerning our Joint PICAT Applications, currently with the Office of the Attorney-General for his Consent to Prosecute the office of the Secretary of State for Defence for Conspiracy to Commit a War Crime. Counsel is to include Ms Brimelow as lead and both Nick Grief and Megan Hirst as juniors, and our instructions will be through direct communication with these three people. In the event that it later becomes necessary to contemplate applying for a judicial review of a refusal by the Attorney-General, and to that end prepare and lodge a claim together with associated documentation, then we shall need to re-visit these instructions. Counsel is instructed specifically on behalf of 4 people who have approached the Attorney-General on behalf of numbers of ‘prosecutor informers’ who have signed 5 criminal informations and who have sought to have these prosecuted through 5 different local magistrates courts. These 4 people are :- Robbie Manson (who lodged the Pembrokeshire and West Wales PICAT informations), Angie Zelter (who lodged the Llandrindod information); Alicia Hull (who lodged the Norwich information) and Jim Pragnell (who lodged the Sevenoaks information). Yours sincerely, Angie Zelter, on behalf of PICAT. ← Angie Zelter letter to AG clarifies & names Counsel-8th September 2016.